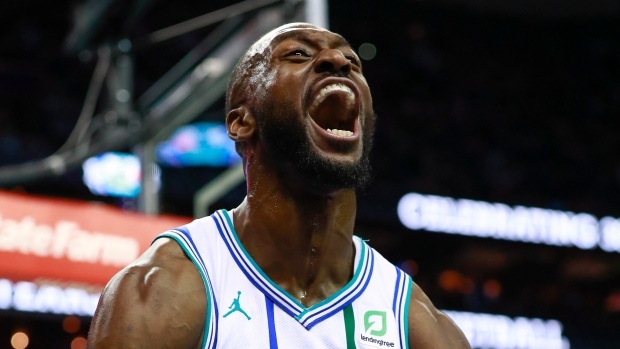 CHARLOTTE, N.C. — Charlotte had three veterans out of action and three first- or second-year players in the lineup down the stretch. The Hornets hardly looked like a team capable of rallying from an 18-point deficit against the Boston Celtics. Rookie Miles Bridges scored a career-high 20 points, Marvin Williams and Malik Monk added 13 points apiece and second-year player Dwayne Bacon scored 11. Another rookie, Devonte Graham, made two key defensive plays during the fourth quarter as Charlotte won its second straight, improved to 33-39 and kept its faint post-season hopes alive. "We were down 18 in the fourth quarter, so I love the way they stuck with it," Charlotte coach James Borrego said. "Kemba drove a lot of that fourth quarter, but you have to give Marvin a lot of credit, the way he battled and Miles' big steal down the stretch, Devonte' took two big charges and his defence really ignited us as well so I think it was just a fantastic, overall team effort."